We are back with a look at two designer collaborations, as well as spring 2018 styles from Roksanda and other tidbits we hope you find appealing. We begin with the Erdem for H&M collection. It doesn’t launch until November 2, but it is a sizable collection offering 77 pieces of womenswear and 21 menswear styles. Many will find the price points for this collection more manageable than those seen for the Preen/LK Bennett collection, the other capsule line we’ll be viewing today. Our first image shows Fan Bingbing wearing an Erdem for H&M dress in a picture the actress shared on Instagram. 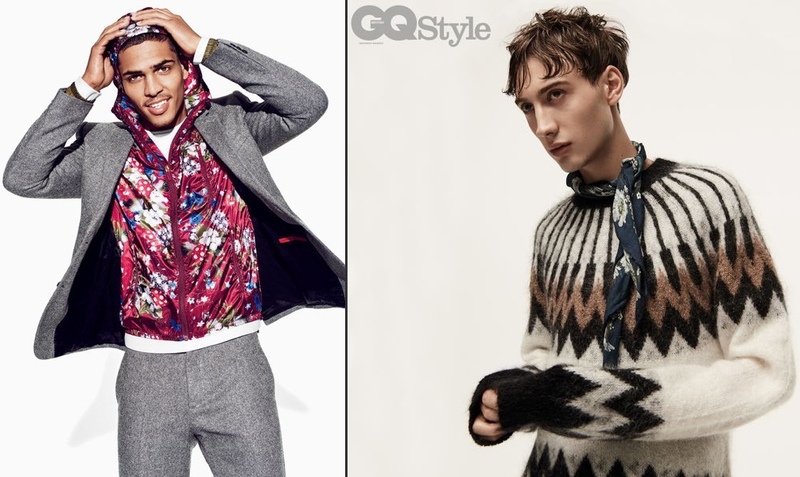 These two images are via an Elle UK story. In the photo below left we see a leopard print coat with a large bow atop a floral print dress or skirt; on the right, a fringed jacket and skirt in an oversize tartan check. In the photo below right, a snowdrop jacquard gown. That is a piece I could see the Duchess wearing. Images of handbags in the collection also provide a closer look at the material used for the tweed suit. These photos from E-Magazine.gr offer a look at other fabrics from the line. Below, actress Emma Stone in the snowdrop jacquard print; on the right, an advertising image of a dress made from the sequin material seen above. The pieces Ms. Stone is wearing: a button front top with a crimped or ruffled collar and trousers, both with piping detail. A closer view of the snowdrop fabric; it looks like a beautiful print. 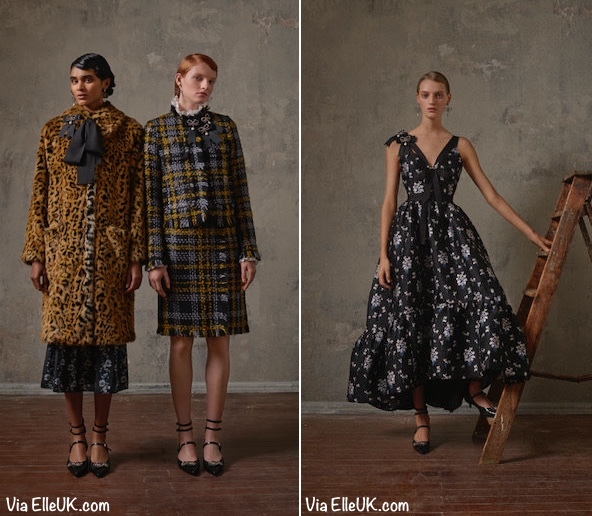 We’re happy to confirm the collection includes many Erdem signatures, such as lush floral jacquards, ribbon-trimmed gowns and rigorous tailoring, along with ladylike-frame handbags and crystal bow-shaped earrings. 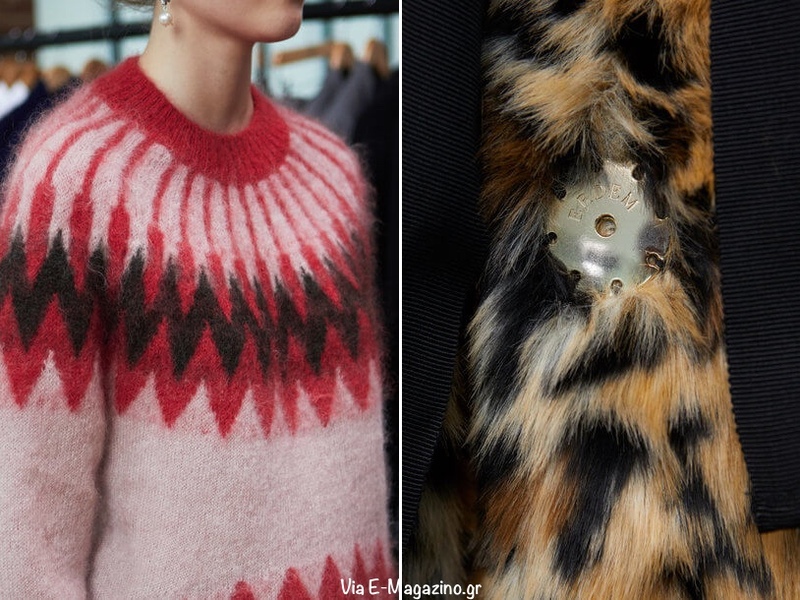 A mohair sweater and closer view of the faux fur leopard print. 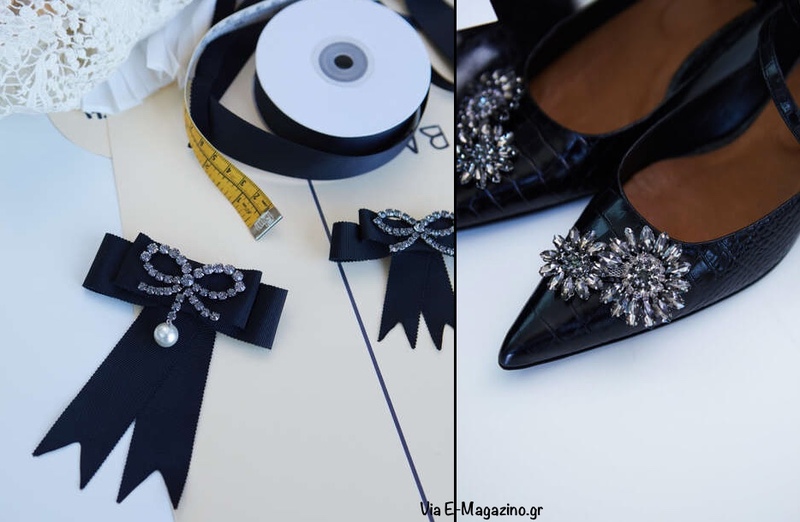 Another shoe style and some of the bows used in the collection. The collection will be available online and in 220 H&M stores worldwide November 2nd. 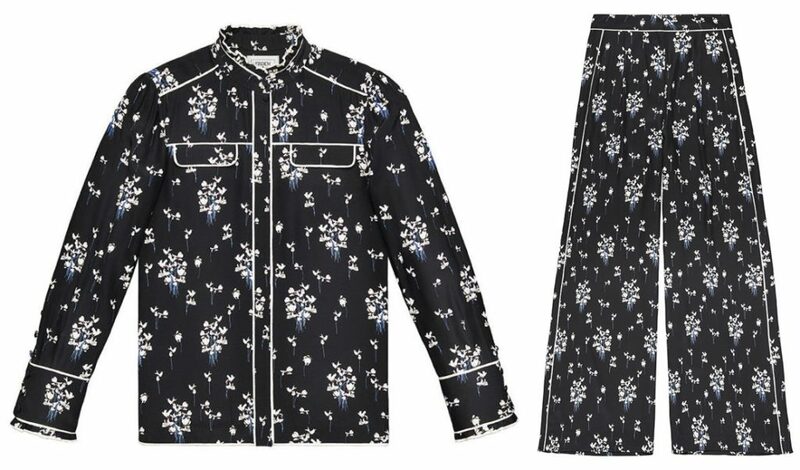 It’s not out of the question that Kate would wear something from the Erdem/H&M line. She has worn designs from diffusion brands on multiple occasions. Below you see the Duchess last year wearing a Jonathan Saunders dress from the designer’s collaboration with Debenhams. 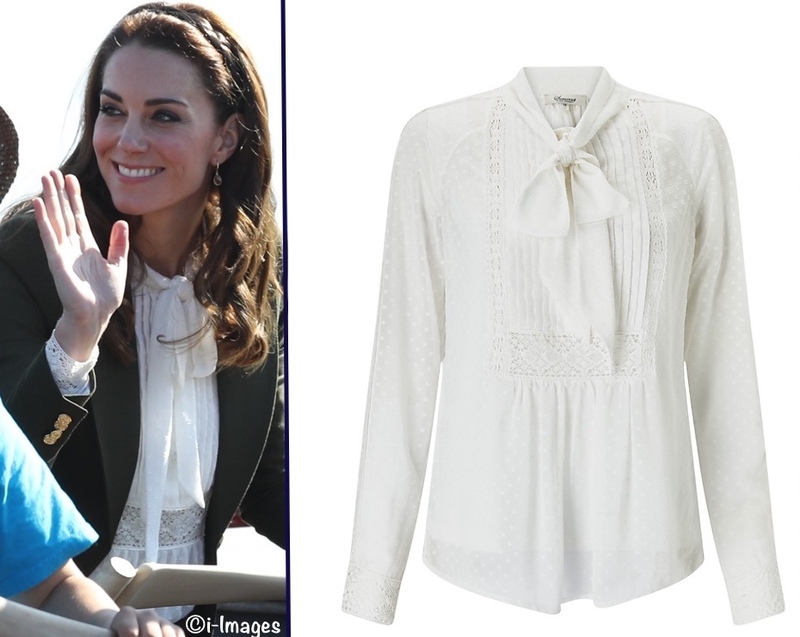 Kate seen wearing a dress from the Somerset by Alice Temperley Collection that the designer does in partnership with John Lewis. 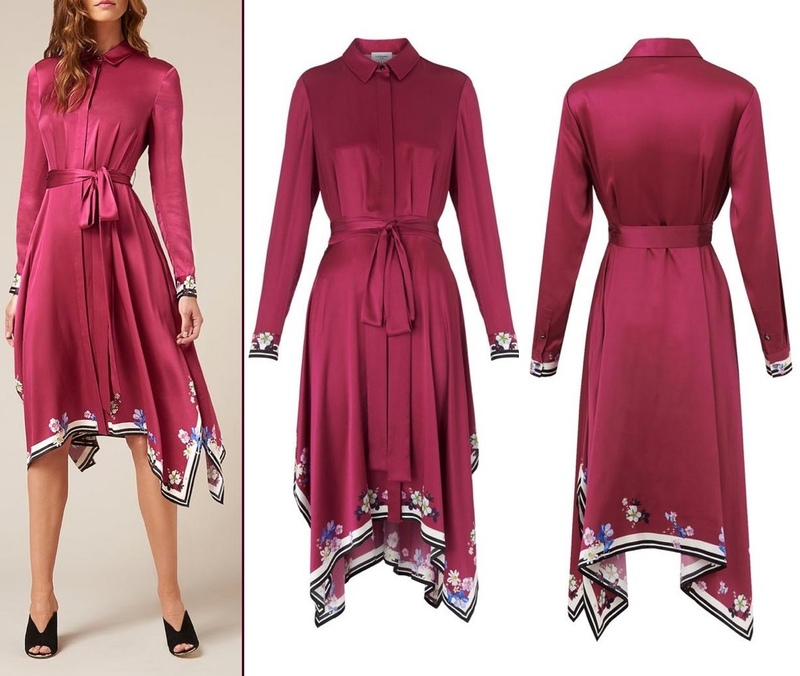 Kate wore another piece from the line this April, a floral dress (photos here), and we also saw the Duchess wearing a blouse from the Somerset collection in Canada last year. I imagine we’ll see another piece or two that would work for her once images from the full line are available. 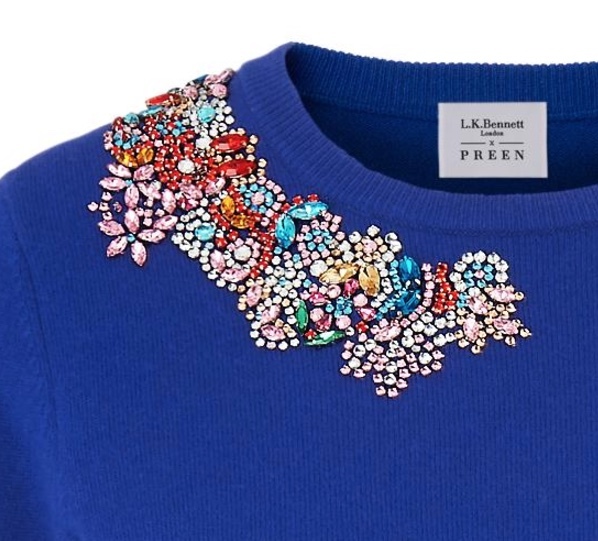 Now for the Preen LK Bennett collaboration. The collection officially launches next Thursday, October 5th. But it turns out many of the pieces are available online now. The 16-piece collection aims to blend Preen signatures such as asymmetric cuts and confident use of color with the timeless elegance and comfortable glamour L.K. Bennett is known for. There are separates in the collection. Below left, the Patti Embroidered Sweater in a wool/cashmere blend ($295); on the right, the Annika Stripe Top in a chunky knit ($325). A closer look at the embellishment on the top. The Shelley Skirt ($295) is offered in a rayon jersey; it features a D-ring belt and asymmetric hem. 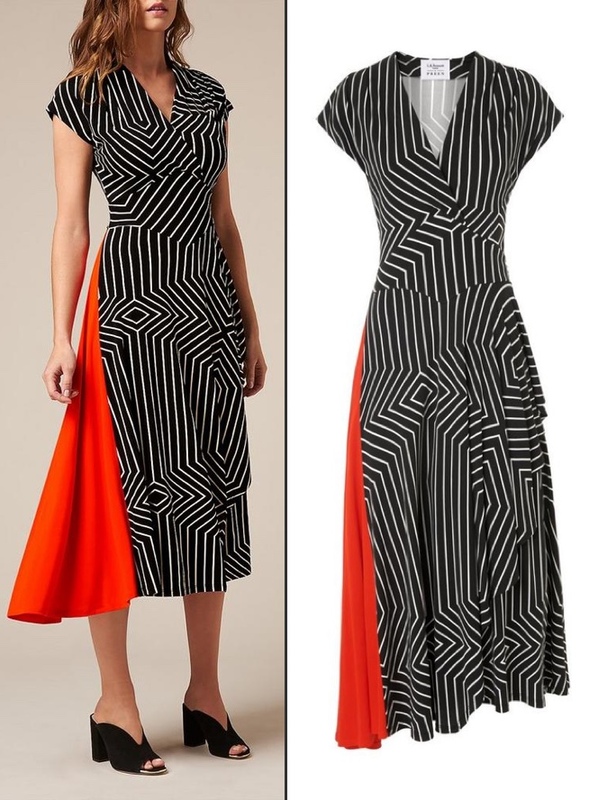 The Shelly Dress ($395) is done in the same graphic print; it also has a broad red insert and waterfall skirt. 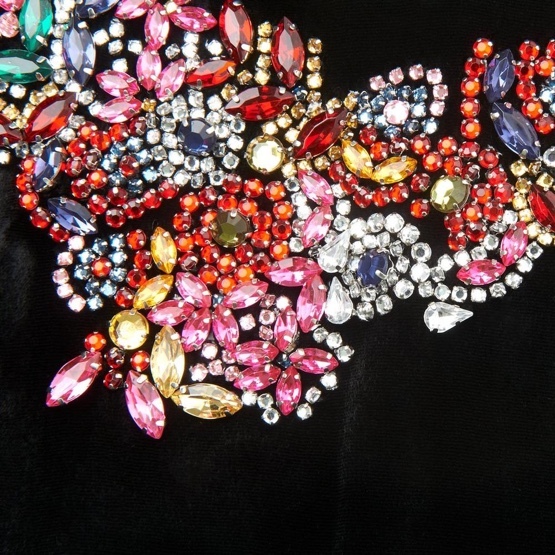 Head to L.K.Bennett from October 5, however, and you can pick up a stunning dress for £250. Still not cheap, certainly, but you’re getting a design classic for about half the price. And because Preen is all about sophistication rather than trends, you’ll be able to wear it again and again. 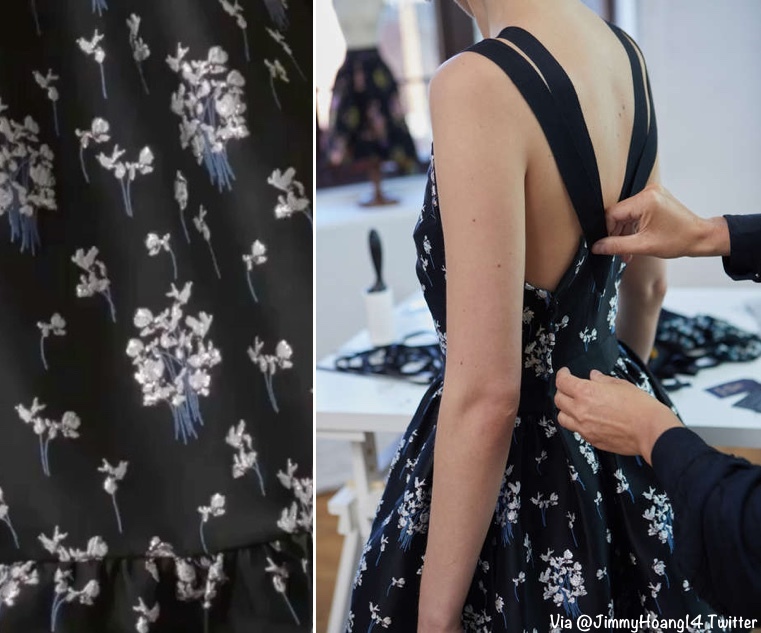 What we particularly love about the Preen for L.K.Bennett collection is that is encapsulates Preen’s high-end glamour with a dash of the working-wardrobe smartness that L.K.Bennett customers demand. A closer view of the intricate embellishment. The Sioux Wrap Front dress ($695) is crafted from a rayon/silk blend; the piece has shoulder cutouts, ruffle detailing and self-belt. 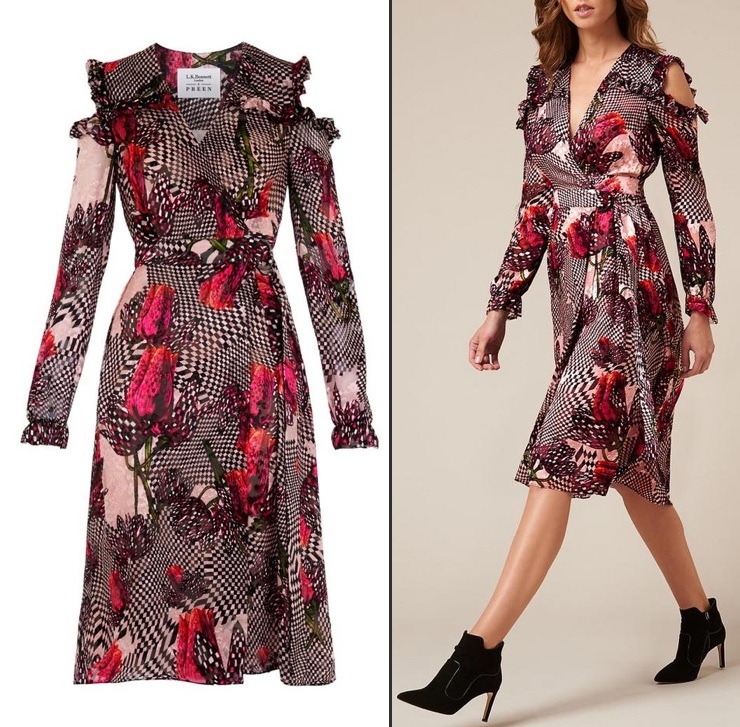 Another style we could arguably see Kate wearing: the Reed Rose Print silk dress (£495, roughly $670), in a silk blend with a high neckline trimmed in black lace. 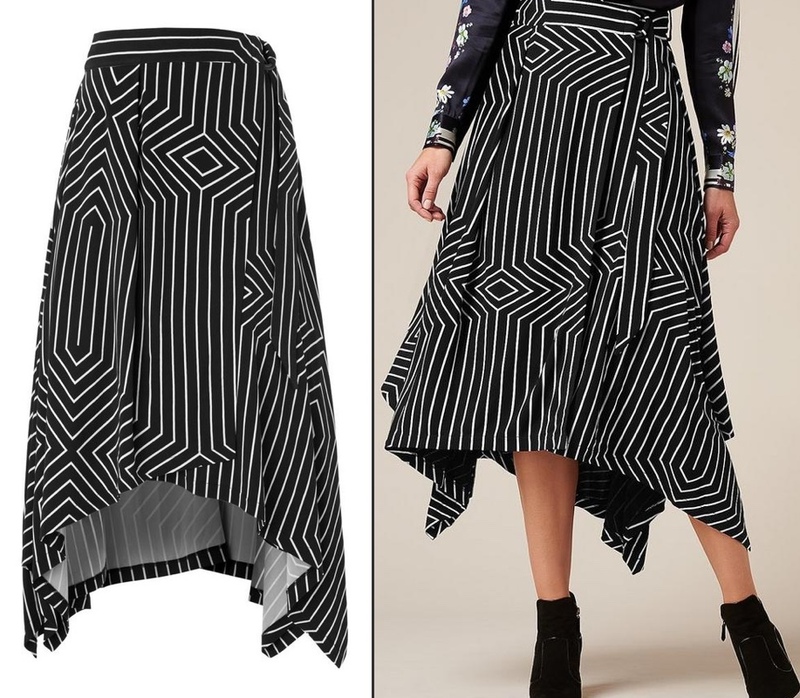 The Reed skirt (not yet shown online) features the same graphic stripe base adorned with roses. The Vali dress ($695) is offered in both a black and red version. It is 100% silk, featuring a rose motif blended with a graphic design. It is a little difficult to see in these photos, but the collar is done in a waterfall style. The Devoto silk satin shirt ($325), featuring a placed print on the arms and cuffs. 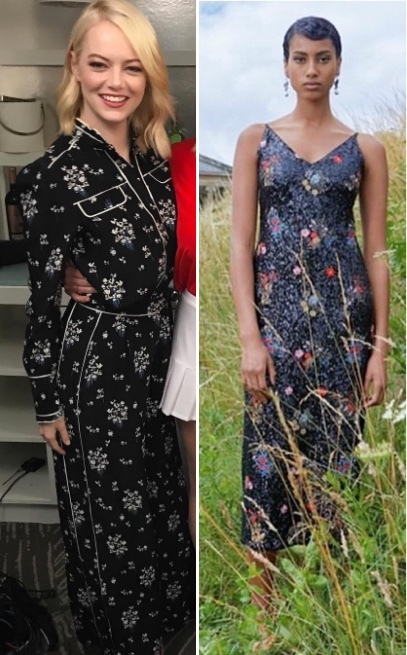 Here you see two dresses as shown in the Daily Mail story. The Devoto in pink ($695) is available now. 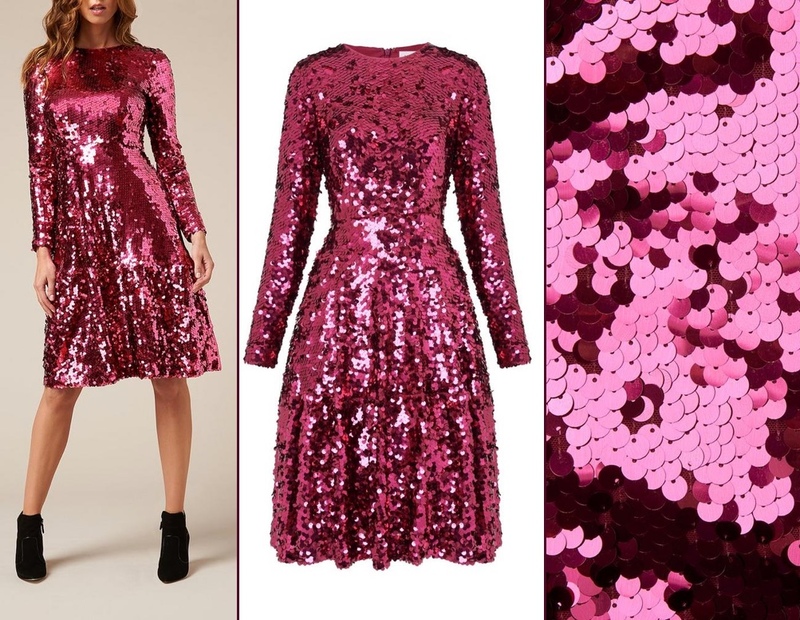 The Sonic Sequin Dress (£550, about $750) is currently available only on the LK Bennett UK site. As of early evening on the 25th there are ten styles from the collection on the US website and 12 pieces on the UK site. The collection may be more suited to fashionistas than Kate fashion fans. Those primarily exposed to the brand through Kate’s dresses might be looking for more structured, tailored designs. Below, the Duchess in the two Preen styles we have seen her wear, the Finella in red and black, and the Everly in light blue. But much of what Preen offers is more involved than the dresses Kate has worn, with design elements like ruffles, tiers, lace embellishment or trim, gathers, asymmetrical hemlines, and more. 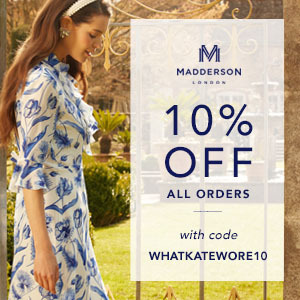 The brand is known for its love of Victorian styles. It is also celebrated for its prints; we see that strength in the LK Bennett collection. 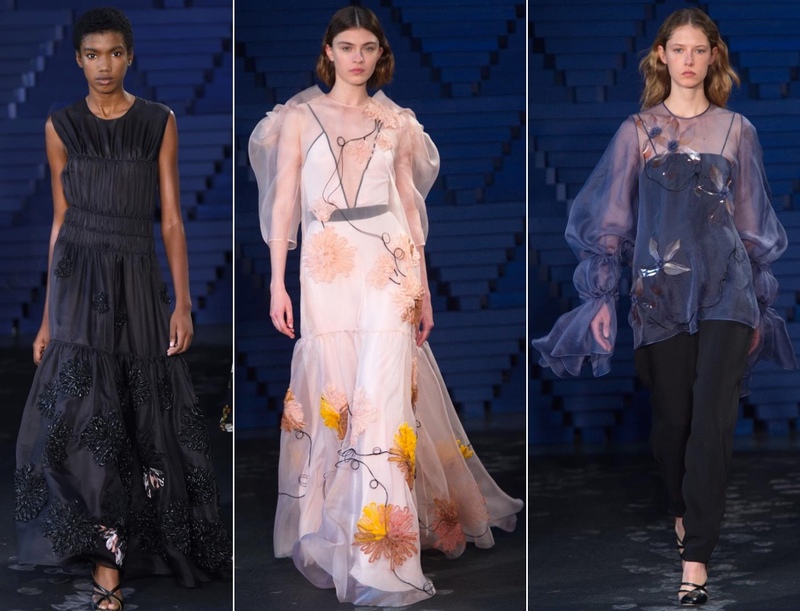 Those hoping for styles more like the frocks seen on the Duchess might be disappointed, while fans of Preen’s signature style are likely to be delighted with the collection. Two other notes today, the first involving Prince Harry and the Invictus Games. The Games started in 2014 by Prince Harry officially opened in Toronto Saturday night. There are 550 competitors at the games representing 17 nations, and they have lots of support. 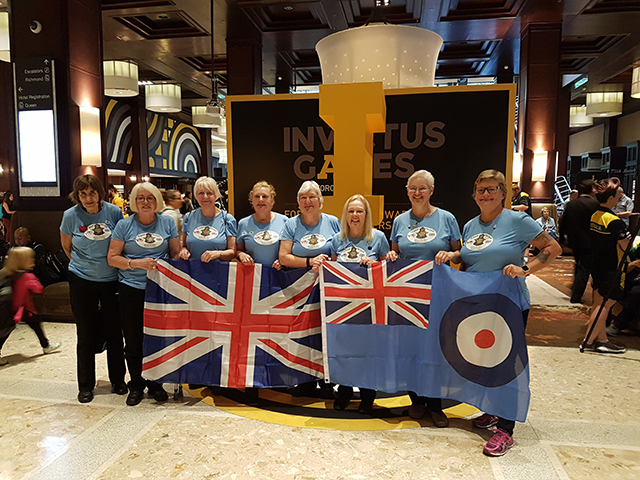 Below, eight retired members of the British Women’s Royal Air Force ready to cheer on Team UK athletes. Prince Harry has been passionate about the importance of the Games. Canadian comedian and actor Mike Myers is the official ambassador for this year’s Games. He surprised many with his emotional statement about his connection to the Games. 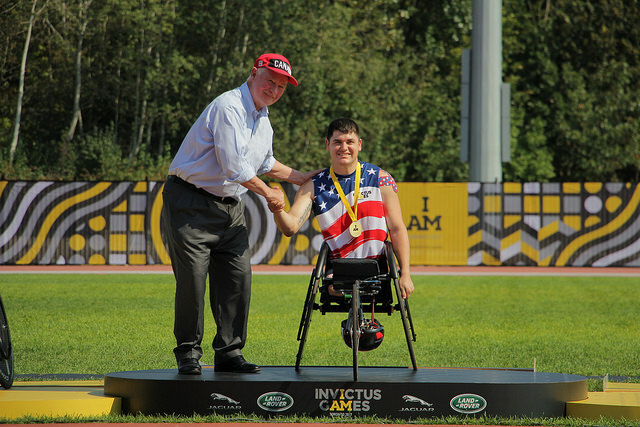 Here you see American Ivan Sears, winner of three gold medals today in track events. Canada’s Governor General David Johnston is seen congratulating the active-duty Marine. 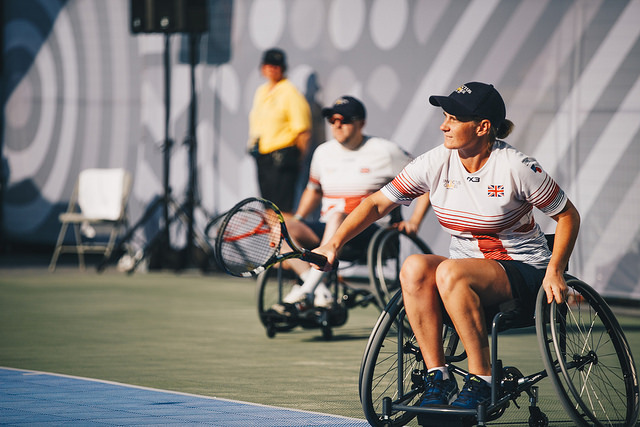 Below, wheelchair tennis competitors playing in some brutally hot temperatures. Prince Harry and girlfriend Meghan Markle watched some of that competition today. 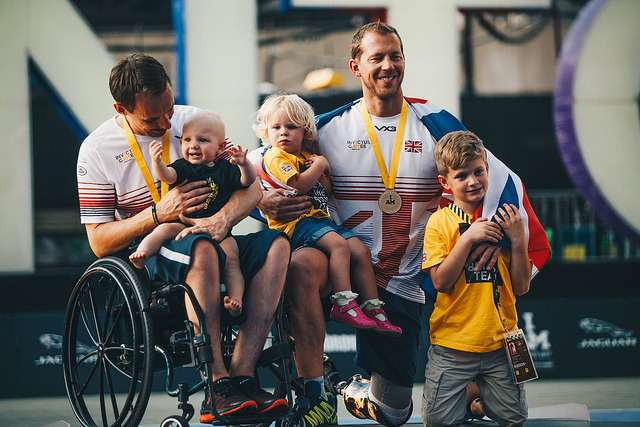 Wheelchair tennis medalists celebrating with family members. Tonight Harry attended the powerlifting events. Below you see him with members of Afghanistan’s team. The Games continue through the 30th; you can learn more at the official website. The 2016 Games were in Orlando; next year they will be in Sydney. Next, a quick look at the spring/summer 2018 Roksanda collection. The designer eschewed her usual sculpted silhouettes in favor of looser, more liquid ones, and like many of her fellow London designers, she was inspired by real women — and the imperfections of the pre-Instagram age. Three of the more formal styles. The entire collection may be seen at the Roksanda website. A bit of housekeeping is next, revisiting the site redesign. First of all, *thank you* to everyone who left comments, emailed and messaged with your input about the changes, especially those with not-so-positive feedback, for that is never easy to write. I very much ‘heard’ your thoughts and adjusted things accordingly. No one should be seeing ads within the content of the posts; that was a hiccup that was unintended. The layout you are currently seeing is essentially what we hope to maintain (barring any significant increases in photo licensing fees, technology changes, or other unforeseen events), with ads on the right sidebar and the ad on the bottom of the page. 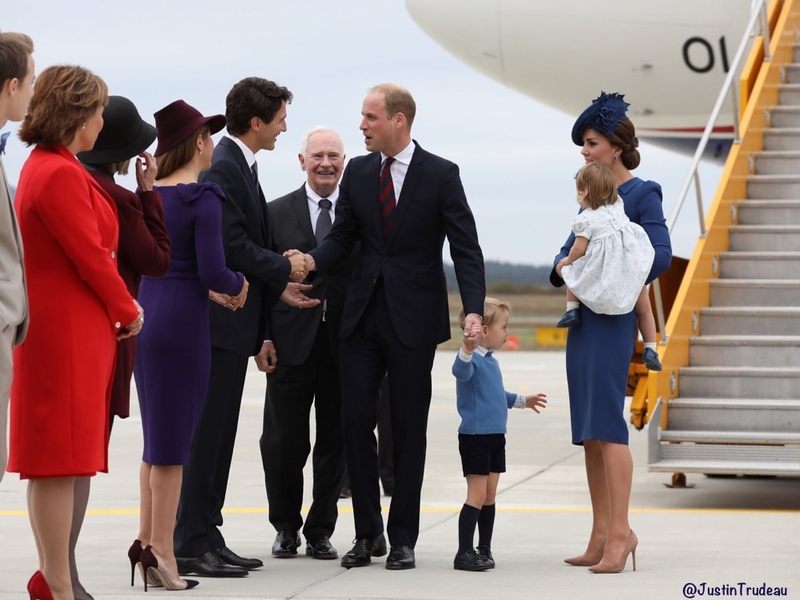 We’ll leave you with this look from a year ago tomorrow when William, Kate, George and Charlotte arrived in Canada for the start of a weeklong tour. Kate was in a bespoke Jenny Packham dress, with a Sylvia Fletcher for Lock and Company hat, and her Gianvito Rossi Praline heels. I am greatly disappointed that you moderate honest opinions of your readers. Having followed and enjoyed your site for a very long time, it is quite telling of your willingness to present only your narrative. When the truth comes out about MM, you will be appalled and embarrassed. I do not wish the woman ill will , I am simply stating a fact. Good luck to you and please reconsider your approach. Everyone should have a say, especially when it is done respectfully. Furthermore, What Kate Wore, needs to remain just that. No doubt, the Duchess herself would not approve of this cheap mention that even the palace has not acknowledged. Thank you for your prompt reply, Susan. I am curious what was mentioned about the Royal Family that prompted my entire commen being disregarded. Having personally spent time with members of the family, I can assure you that I have the utmost respect for them and the institution. This is why I believe that it cheapens your site to mention MM, given the nature of their “relationship”. 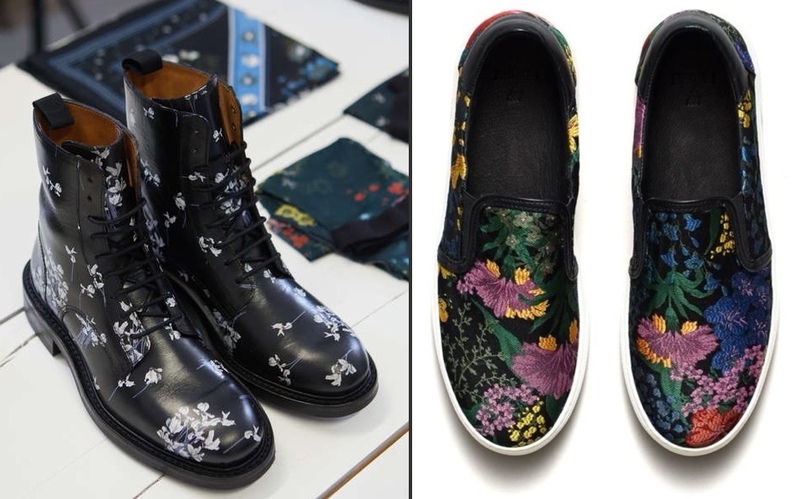 I’m really looking forward to the Erdem line at H&M, thanks for the preview. I am begging you to leave MM off of this blog. Please focus on the Duchess of Cambridge and don’t cheapen your excellent work. If you are looking for a pair of replica pearl and diamond earrings, try QVC Honora pearl and CZ stud earrings. They are beautiful and comfortable and are a very close match to the original worn by Kate and the Queen. They cost about 50 US$ and can be paid in a few installments. It’s great that Meghan confidently wears flat shoes alongside tall Harry. Hope she continues to do so for informal functions. Her jeans and shirt is fine for the event. 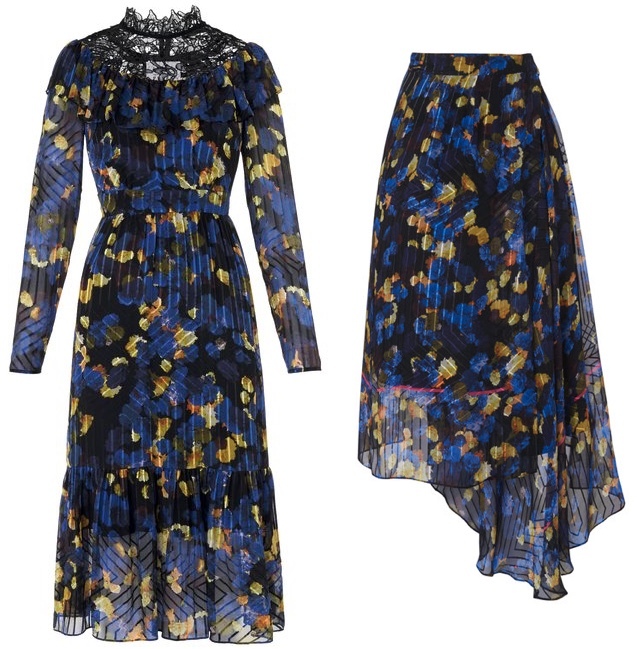 Thanks for all the lovely fashion pics, I really like how the Erdem prints have been incorporated into the H&M brand. Some of these look very wearable, although I have some reservations about the snowdrop print blouse and trousers as they resemble pyjamas a bit much for my liking. 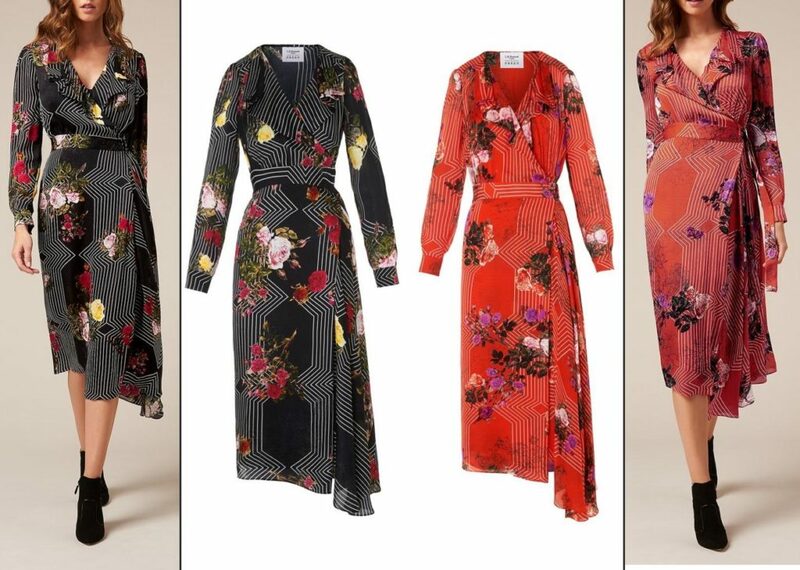 The handkerchief hems leave me cold as well but I’m still loving the use of the Mackintosh-inspired rose print on the likes of the Valli dress, I’m not so keen on those frayed edge shoulder cut-outs on the wrap-front offering. I sincerely hope Kate doesn’t fall for all-over sequins – too much glitter and very little style in that one. 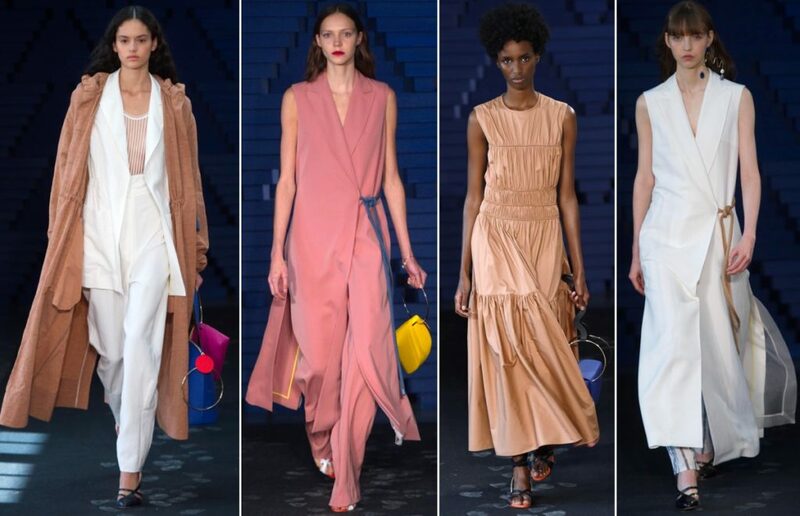 The Roksanda designs once again combine an enviable colour palette with sleek styling in a workable format. I would love for Kate to pay this label another visit. 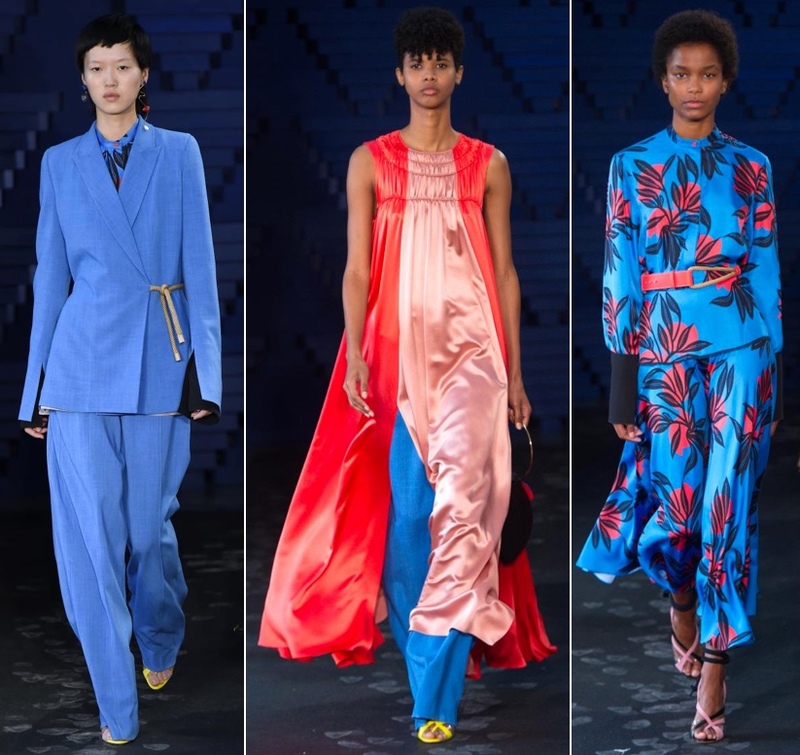 This has been one of my favourite collections of the latest season, the other being the Dries Van Noten, again clever colour combinations in wearable form but retaining all-important freshness and edge. One for Kate to cast an eye over if she’s over on the mainland continent again perhaps. Yes, PJs came to mind with the blouse & trousers; I immediately thought of Hugh Hefner! I’m sure these aren’t the first ready to wear clothes Preen have done, if you count their line as part of the ‘Designers at Debenhams’ range (same idea as the Jonathan Saunders dress you feature above). There was a famous Preen dress worn by lots of celebs in about 2005 or so, most notably Amy Winehouse to an awards show- I think it was called the ‘Power’ dress or something. That’s what comes to mind when I think of Preen, so it always seems a bit odd to me when the DoC wears Preen, and the collaboration with LK Bennett really doesn’t fit the image I have of them. Everyone seems to forget, he attended the London Invictus Games with Cressida Bonas a couple of years ago and everyone was so sure this meant an imminent engagement. Instead, they broke up for good shortly afterwards. The jeans are not at all appropriate. Unfortunately, these shredded jeans are everywhere, even on a business casual Friday. Still inappropriate. The jeans and shirt are fine. If the jeans weren’t shredded and frayed. Mike Myers video is a MUST SEE – this is the son of service people expressing his gratitude – barely a moment of comedy and brimming with emotion. Thank you, Susan, for including it. Yes….much easier to read WKW. Thanks! I love the new site layout. 🙂 It’s always good to change things up every now and then. 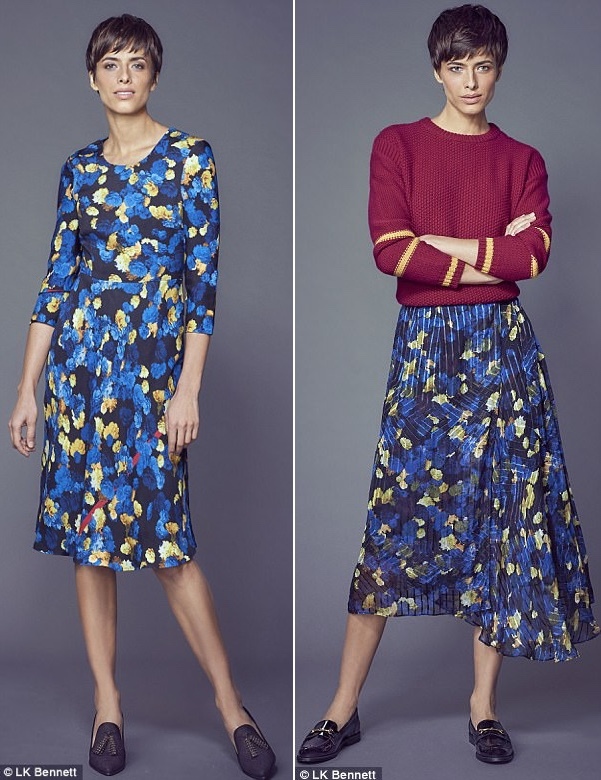 I am really looking forward to the Erdem/H&M collection. 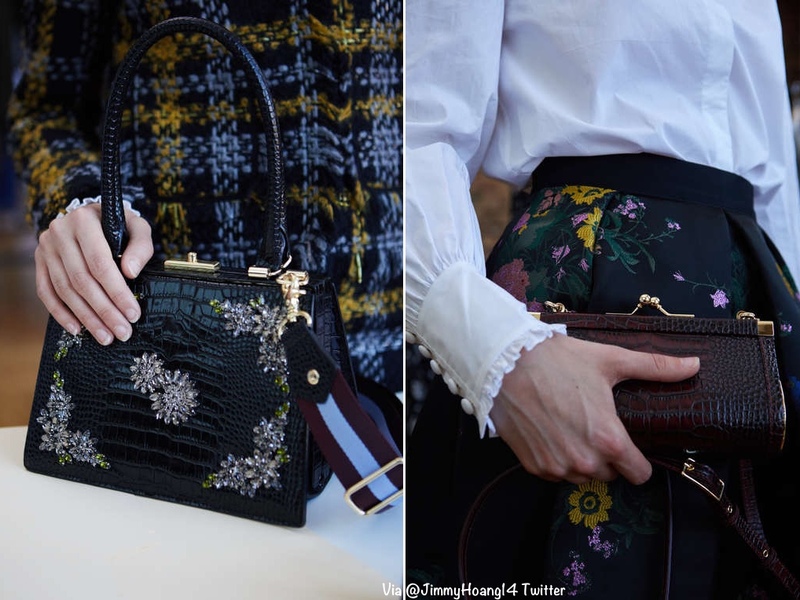 The pieces look beautiful…just hope they don’t up the prices too much since it is Erdem. Hard to believe it’s only been a year since Canada tour. Great ensemble. 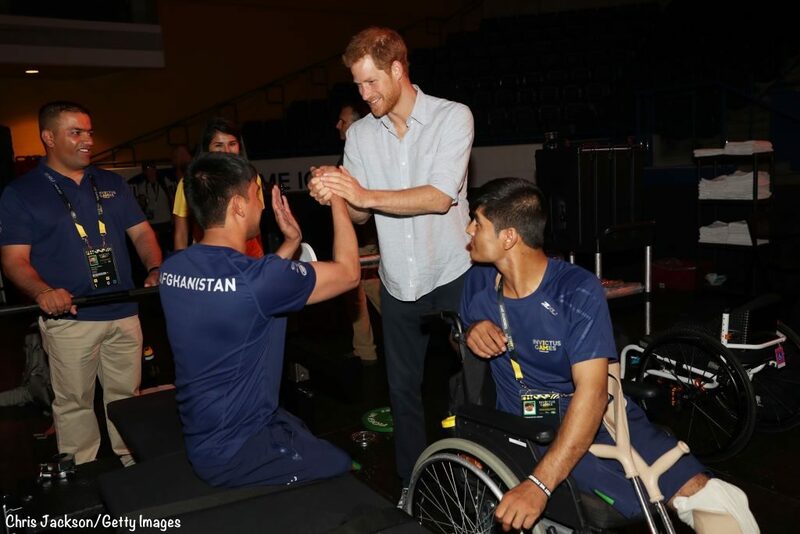 Harry’s support of Invictus is authentic and enthusiastic. Wonderful cause. Meghan seems far too casual (jeans with holes? Untucked shirt?) and lacking in taste for this event. It is always fun to see high fashion, even though most of us do not have the budget nor the inclination to wear most of it. I could, however, see myself wearing the black and white Shelly dress, with the surprising flash of red. I think we should start a campaign to get models to smile. So many of them look downright grumpy. Harry and Meghan seem very comfortable and relaxed with each other. If their relationship leads to marriage, I wish them much happiness. I am not impressed with Meghan’s ripped jeans. Although this was a casual occasion, as their first official event together, she could have worn something more appropriate. It is almost like she is purposely trying to say she is not going to be put into any kind of box and lose her identity…royal family or not. If she does become Harry’s wife, she will need to consider her wardrobe. It is a matter of respect. Thought the same thing Bonnie. I was wondering if maybe she kept her outfit casual as to not draw too much attention to herself or take away from the Games. Then again, that seems to be her style. I was thinking to myself yesterday that she may have a really hard time conforming to the firm’s standards. She seems like a very strong willed, independent person which is wonderful, but that stuff doesn’t fly with the Royal Family. Sure, everything seems great now because it is relatively new, but will she still be ok with it 5, 10 years down the line? I hope so for both of their sakes. I wish them both luck. We shall see what happens. 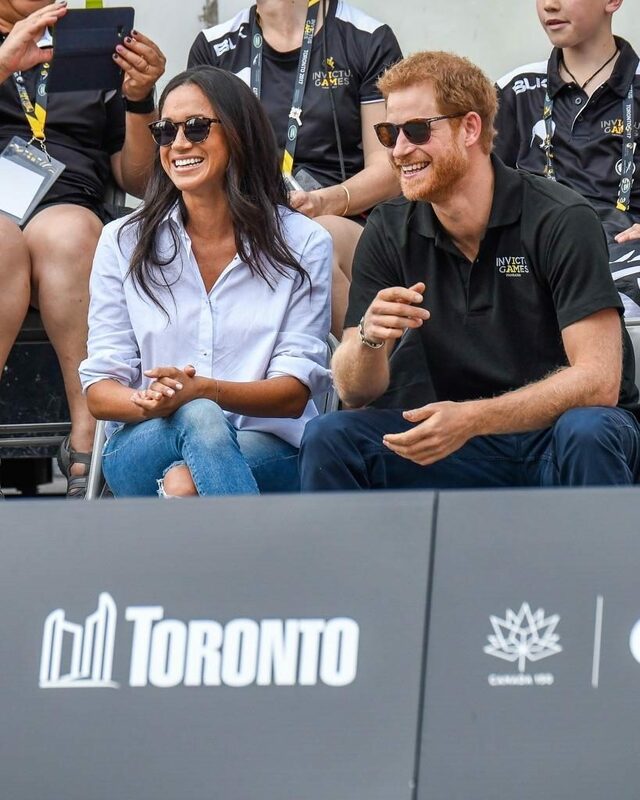 Hilary, of course, fancy attire on Meghan could have distracted from the Invictus Games, but somewhere between ripped, faded jeans with frayed cuffs and an over the top outfit, there is a happy medium. The temperatures in Toronto are scorching right now and jeans and a long sleeved shirt would likely have been hot to wear. Meghan could have worn linen, or cotton pants (without rips) and a simple blouse and been cool and appropriate…and not distract. We get tired of Kate’s striped Breton tops and skinny jeans, but they would have been fine on this occasion. As to your comments about how Meghan might feel about the restrictions of royal life many years down the road…well, that will be a very serious consideration for both Meghan and Harry. I am a romantic, who believes that if two people really love each other and want to be together, they will work it out. Compromise will be necessary, especially from an independent woman like Meghan. If she hopes to be part of Harry’s life, she will bend and conform to some of the “rules” and expectations it will bring with it. And knowing how fun loving and kind Harry is, he will find a way to help this transition, without overwhelming demands and still let her be herself. I had a completely different reaction to Meghan’s outfit. I thought it was great. I was glad to see her wearing just plain old clothes, and he certainly wasn’t dressed to kill himself. There was something very refreshing about the way they both looked. I liked the ripped jeans. She looked like a relaxed happy woman. Everyone’s jumping the gun here, nitpicking, suggesting linen pants, saying she should show respect, guessing about whether or nor she’ll conform to the rules. Wow, they aren’t engaged yet, they aren’t married, they may never be, and already judgments abound. Give her a break. Please. No gilded cages yet. Totally agree, Jenny. This was a sporting event, not a ceremony. Ripped jeans are SUPER trendy right now…I have never been into them myself but I am also not as cool as Meghan, and she looks good in them. I hope she stays independent and keeps her style. I was a big fan of Kate’s younger style and was sad to see her basically dump it completely in order to dress how she thinks the Royal Family thinks she ought to…and frankly, I think she dresses more matronly than even they would expect (I would have expected her style to mature as she aged and become more expensive, but her style was completely lost in the transition). I hope that if this is permanent, she is not assimilated completely. After all, I assume Harry likes her for her. I’m right with you in supporting Meghan’s choice of outfit. The classic jeans and shirt combo is one she’s perfected and I thought this was contemporary and spot-on for the event. Times have moved on even since Kate came on the scene and she and Harry will have a lot more leeway in their style of conducting themselves. There’s plenty of time for more formal dressing in the future. Meghan’s jeans and shirt was a great outfit for the games. I love it that she wore flat shoes with such confidence near the tall Harry. I hope she continues to wear flats for informal occasions – something which Kate has rarely worn when with William. Just curious if you will begin a “What Meghan Wore” site? It looks like these kids are very close to announcing their engagement! My fingers are crossed for a “What Meghan Wore” sister blog, too. Thanks for all the work you put in to WKW – content and design! There are already several excellent ‘What Meghan Wore’ sites online, I’d have thought the market was already a little crowded. 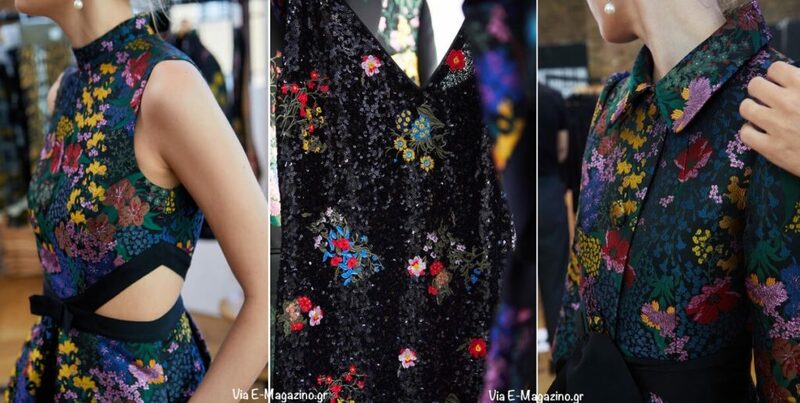 Thanks for the first look of ErdemxHM, love iit! I am not much for queuing or racing for stuff but this might be the exception. Such beautiful pieces. I hope they will make it in larger sizes. Well done on the site redesign,actually had forgotten about the glitches; it looks proper now at least on my pc and on my ipod. 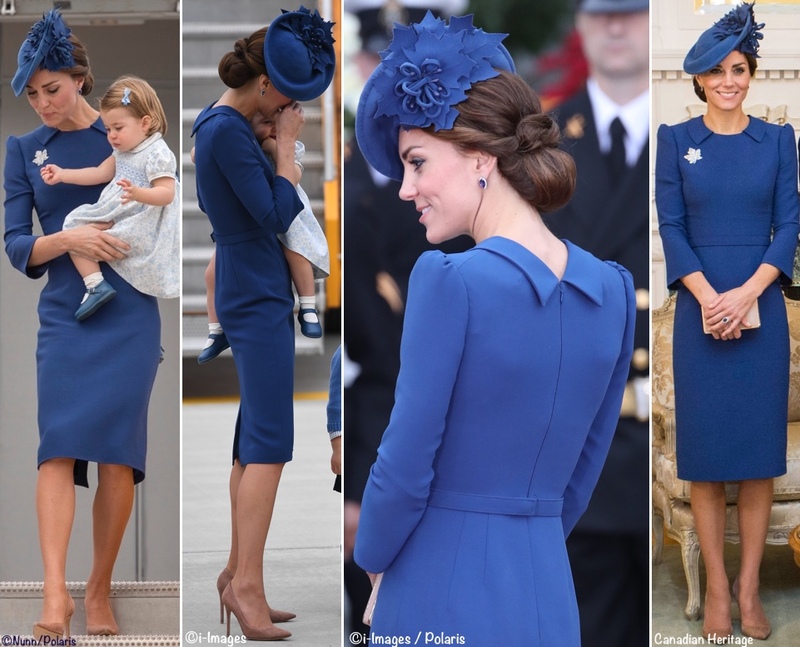 This is a brilliant post, such a rich choice of colour and style from the design teams, fun to imagine what Kate might wear from them. 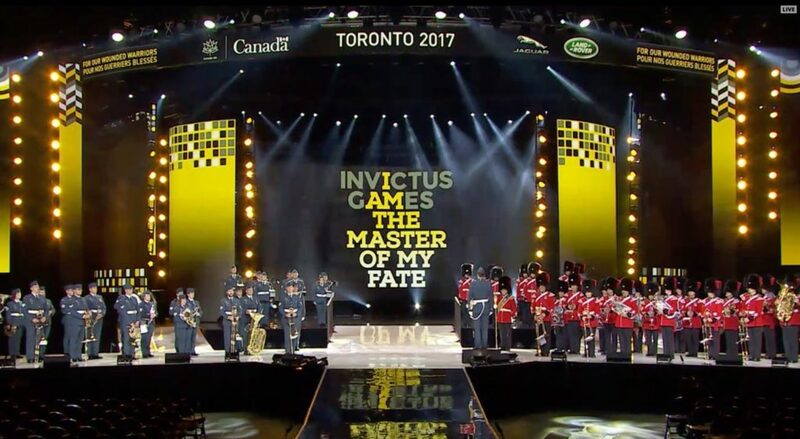 I appreciate your media essay of the Invictus Games very much. On the other hand, I can’t say I like a single piece of the Preen & LK Bennett collection. You are right that Kate has chosen some really demure Preen pieces in the past, I had no idea they were known for such bold patterns. The Devoto dress isn’t bad until the hem, which is just too handkerchief-y for me. 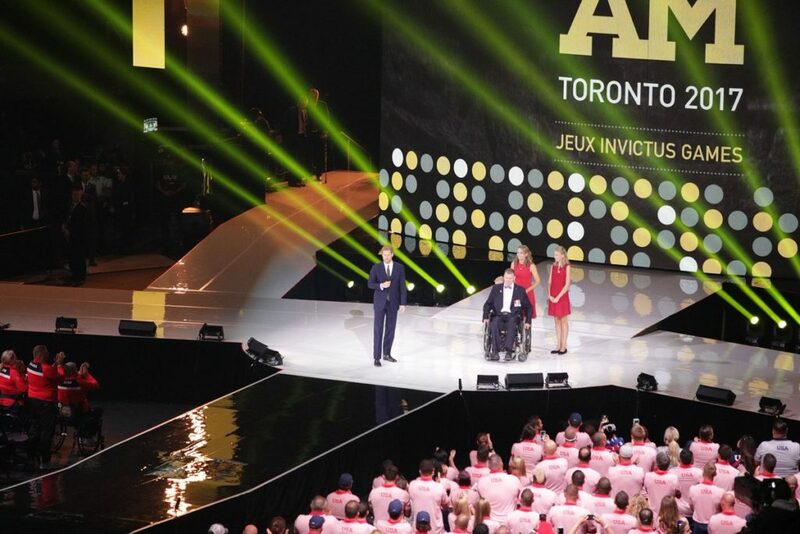 Thanks for sharing the photos of the Invictus Games too. It’s actually good timing for Kate to have to step away from events so that Kensington Palace can focus on sharing Harry’s work this month. Nice to see a photo of him with his girlfriend as well, Meghan really reminds me of Pippa in those sunglasses though! Really late here, but I was scrolling and thought “Hm, strange that Harry is hanging out with Pippa” when I first saw that photo. 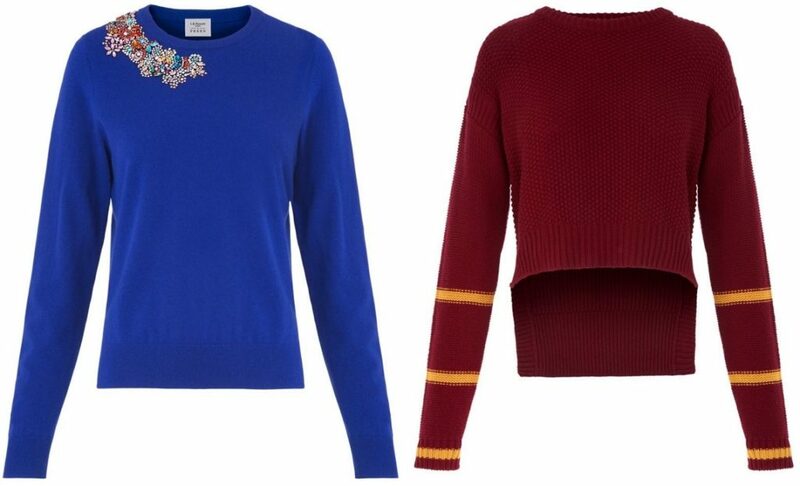 The Annika stripe top reminds me hugely of Harry Potter’s Gryffindor Quidditch uniform, hehe. It made me smile. 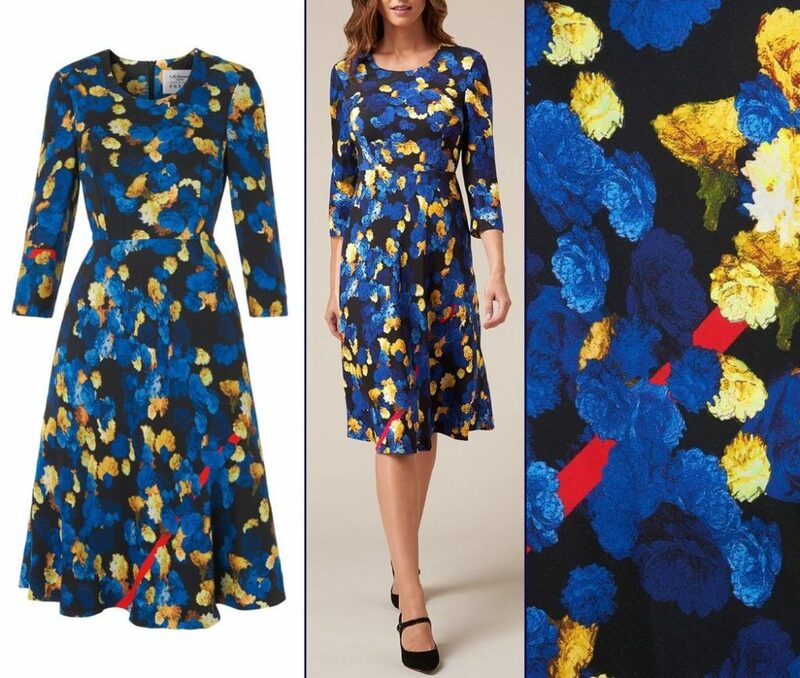 Love the coverage, thank you –I am definitely keen to get some Erdem x H&M pieces!